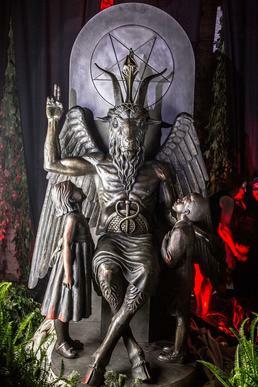 You have likely heard of the Satanic Temple, even if you don’t know that you have. The group was founded in 2012. It was conceptualized as a result of President George W. Bush’s initiative to fund all religious groups. Its founders, Malcolm Jarry and Lucien Greaves, wanted to create a group that would meet all the criteria for funding and simultaneously repulse Bush and his supporters. The group is aptly headquartered in Salem, Massachusetts, the site of the infamous 1692-3 witchcraft trials that left twenty people (and a poor dog) dead. The Satanic Temple does not believe in the supernatural Satan, but instead they believe in the literary Satan. The use this allegorical Satan as a metonymy for several values: skeptical freethought, inalienable personal rights, and curiosity. The group made a name for themselves when they protested a monument of the Ten Commandments at the Oklahoma state capitol. They didn’t march or sign petitions. Instead, they built a one-ton statue of Baphomet, a “deity” likely invented to persecute the powerful Knights Templar in the 14th century. This raises several interesting questions about religious liberty and practice in the United States. 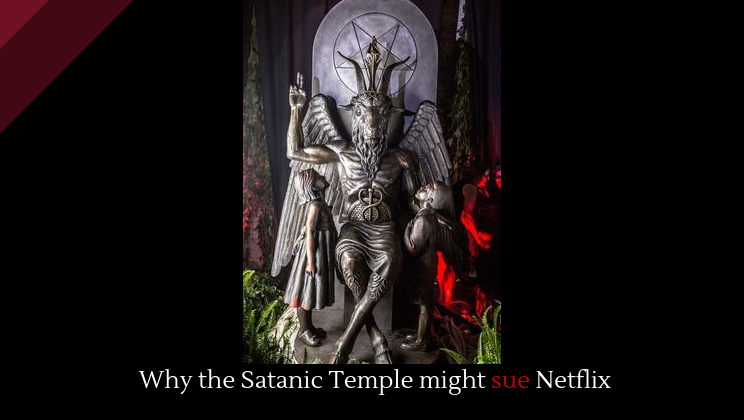 What interests me most is that the Satanic Temple is essentially attempting to copyright their “central icon.” What does the word icon here mean? Does it simply mean representative image? Or does it mean religious image, like the icons of saints or Jesus you might find at an Eastern Orthodox church? If it’s the latter, can you copyright such an image? How far does that extend? Can someone copyright the Cross or the image of Muhammad? Scientology can (and certainly does) pursue aggressive legal action to anyone they find threatening, but they didn’t sue South Park creators or actors for their infamous “Trapped in the Closet” episode. Full story at SF Gate.